The French Senate has passed a bill allowing the government special powers to make laws – including on the rights of the British in France – in the case of a no-deal Brexit. It highlights in its first article the importance of creating laws on the residency rights of Britons in France and their right to work and to social security benefits. The measures taken would be valid until such a time as any other bilateral agreements were made replacing them, the text says. 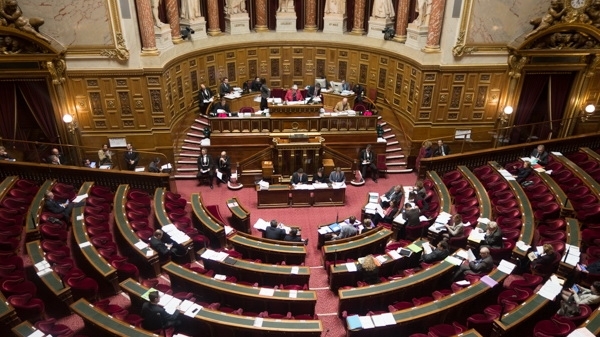 The bill now has to be debated by French MPs in the National Assembly before it becomes law. Senator for the French abroad Olivier Cadic told his colleagues how yesterday, on the occasion of the Last Mile citizen's lobby, hundreds of EU citizens living abroad in the UK and Britons who live abroad in the EU formed a human chain from Parliament Square to Downing Street to ask the British government to guarantee their rights in the case of a no-deal. He said: “I spoke at the Parliament in London to wish that everything possible be done to preserve the rights of the 3million Europeans in the UK and the 2million British in Europe. It is also the will expressed by our government on numerous occasions. Mr Cadic also questioned how ‘democratic’ the Brexit vote was, saying: “Jamaicans, Pakistanis, New Zealanders and Australians were able to vote – but the three million citizens of other EU countries who live in the UK were not able to vote, nor could 60% of the two million British people who live abroad in the EU.